I got really into cushion foundations ever since I got my Troiareuke A+ cushion. They're so convenient, easy to use, and the added skin benefits are a plus! When I was in Korea I picked up several popular cushions to try and the one I’m reviewing today is Hera’s UV Mist Cushion Ultra Moisture. 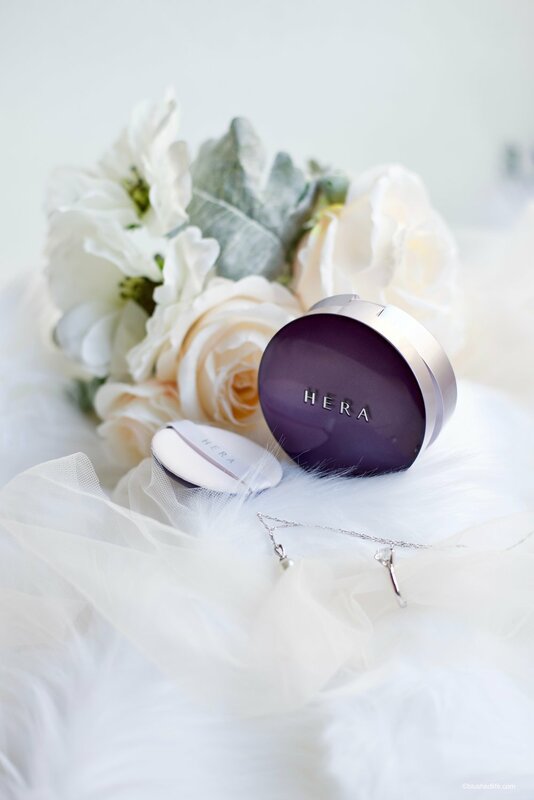 The Hera UV Mist Ultra Moisture SPF 34 PA++cushion is a deeply hydrating foundation formula meant to provide long lasting moisture to the skin. It’s formulated with Mineral Clay Water and Hypertonic Radiance to trap moisture for maximum hydration, and keeps the skin looking bright. Smart Vector UV Complex creates a protective barrier to block out harsh UV rays. Finally, Ultra Fine Particle Dispersion Technology gives a delicate finish without caking. There are 3 shades: 13 Ivory, 17 Rose Vanilla, 21 Vanilla. Each cushion contains 15g of product and sells for 50,000 won, refill included. Sorry, I can’t get an accurate translation! I tried this cushion (shade 17) right after I purchased it in Korea, and it was gorgeous! Not to mention it smells nice and clean too. I applied it with the cushion puff straight out of the compact and my face looked so smooth! The coverage was medium, finish was slightly dewy, and my skin looked radiant. I didn’t experience any problems with creasing, caking, or patchiness and I was so jazzed I picked up a second one (Black version)! Now, fast forward to several weeks back when I wanted to wear this cushion again. At the time my skin wasn’t in very good condition- it was quite dry and extremely reactive. 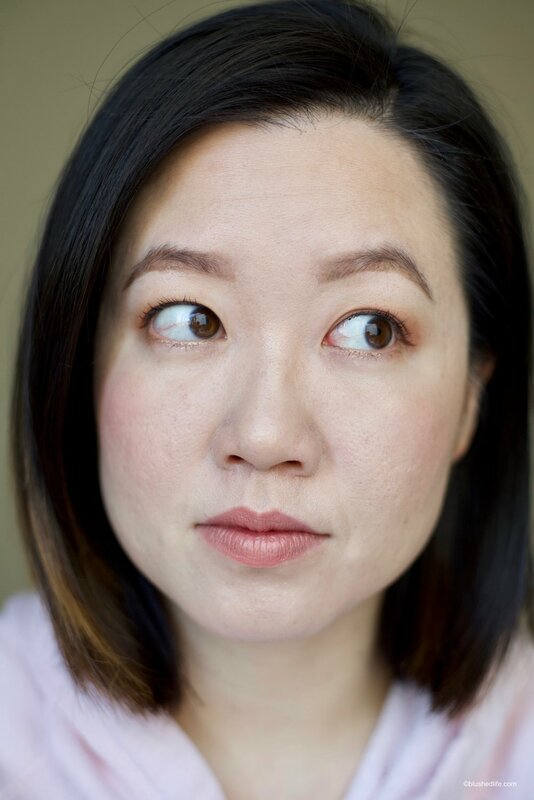 After application the finish was matte and powdery, my pores looked gigantic, the foundation settled into my fine lines, making me look aged. I didn't even bother powdering since that would've made it worse. I experienced caking, separation, creasing, and patchiness. Everything I didn’t want appeared! I couldn’t touch my face otherwise the foundation would move. I’m not sure what happened, but I could not replicate the same results I got with my first time using it. Total wear time before it started breaking down was between 4-5 hours and I looked and felt like a dehydrated grease ball. Not. Pretty. Fast forward again to a few days ago when I learned a new trick to applying cushion foundations. 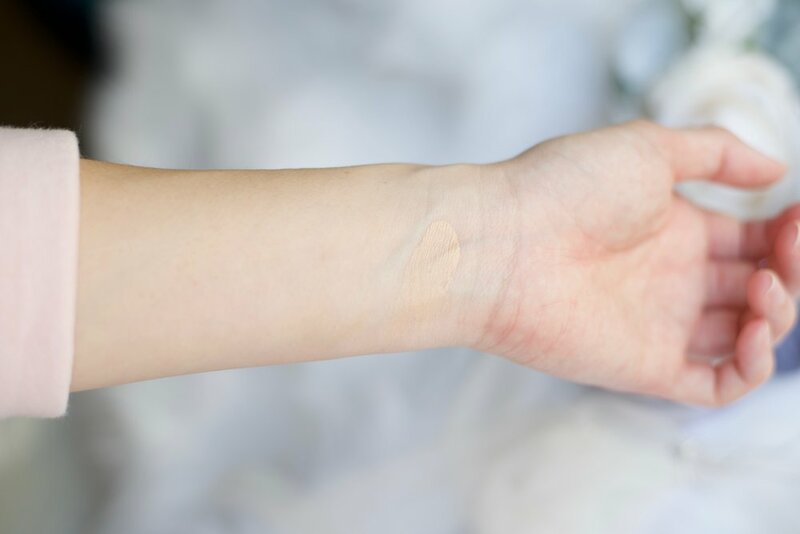 Tip: Instead of using the cushion puff to blend in the foundation, use it to distribute the product onto the skin, but take a sponge to pat and blend for a real precise finish. My skin condition improved and I wanted to try out this new method! Lo and behold- I got way better results! Everything looked smoother, fresher, and natural. Yeah, my pores weren’t totally concealed, but that’s ok. It still didn’t wear as well as it did in Korea, but it was so much better than before! I believe it’s the clay component of this cushion that really stands out on my skin and makes it look matte. It can look a bit powdery and that’s where the caking, creasing, and patchiness get exaggerated. Perhaps using this cushion in a humid environment would yield better results? Afternoon (+4 hours later): Oil coming through, which helps to melt the foundation together, but coverage slipping off nose. Evening (+4 hours later): Oily skin, foundation on nose is nearly all gone, patchiness showing through on chin and sides of face. I feel a bit misled by this cushion. Because it’s called “Ultra Moisture” I thought it would be a dewy foundation, not a matte one. Maybe all the moisturizing properties of the cushion were used up when I was in Korea so all that’s left is the dry powdery part. 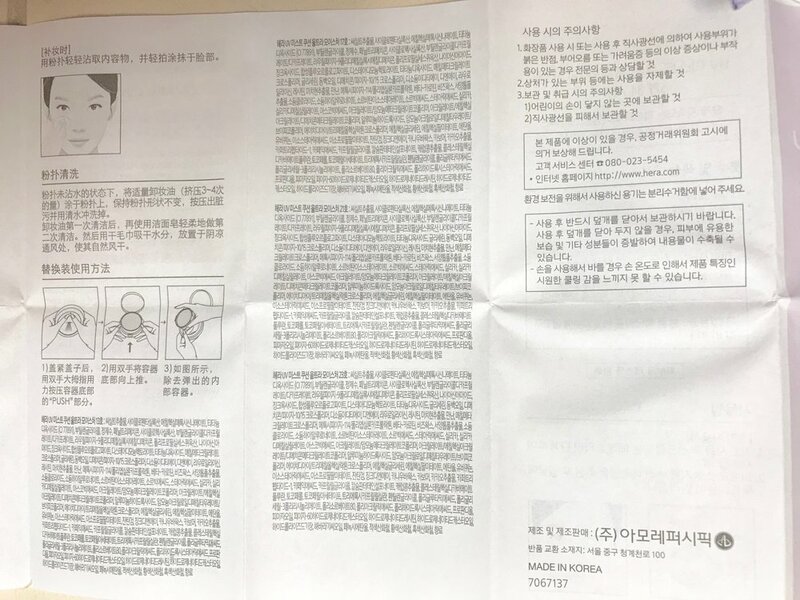 Unlikely, but I can't figure out why else it worked for me in Korea and not back at home. Anyway, I wouldn’t recommend this cushion foundation right now. I’ll revise later if this changes. Guys! I took this cushion on my trip to Bali because I was pretty certain it would perform way better in a more humid environment. Guess what?! I was right! It was gorgeous! Check out some of the photos I took below. No patchiness, caking, only a gorgeous glow! Excuse the wet hair and casual pics- Kevin and I were getting ready to go out after a morning swim so I just snapped a few pics on my phone. The first two are after application and the last photo was about 5 hours later. It held up well and looked great at the end of the day! 4 out of 5 stars!